Hundreds of millions of years ago, a tiny green microbe joined forces with a fungus, and together they conquered the world. It’s a tale of two cross-kingdom organisms, one providing food and the one other shelter, and it’s been our touchstone example of symbiosis for 150 years. Trouble is, that story is nowhere near complete. A sweeping genetic analysis of lichen has revealed a third symbiotic organism, hiding in plain sight alongside the familiar two, that has eluded scientists for decades. The stowaway is another fungus, a basidiomycete yeast. It’s been found in 52 genera of lichen across six continents, indicating that it is an extremely widespread, if not ubiquitous, part of the symbiosis. And according to molecular dating, it’s probably been along for the ride since the beginning. “I think this will require some rewriting of the textbooks,” said Catharine Aime, a mycologist at Purdue University and co-author on the study published today in Science.Toby Spribille, who led the new analysis, has been studying lichens in one way or another for most of his life. 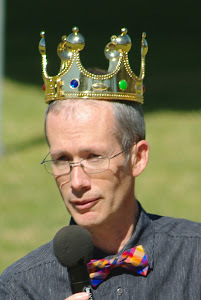 He grew up in northwest Montana, where the shrubby, rubbery organisms are a ubiquitous part of the natural landscape. But when Spribille started to get serious about lichen researchin grad school, he hit a roadblock. “Lichens are nearly impossible to re-synthesize in the lab,” he told Gizmodo, explaining how the colonies take a long time to grow and the conditions needed to induce symbiosis are not well known. Unable to rear their test subjects in controlled environments, lichen researchers have struggled to perform basic experiments that could shed light the roles of the different symbionts. But recent advances in metagenomics—tools for extracting and sequencing DNA from environmental samples, no culturing required—offer a new way in. This approach caught Spribille’s attention when he learned something very strange about Bryoria, a lichen found throughout conifer forests of the western United States and Canada. Those substances include a toxin called vulpinic acid. 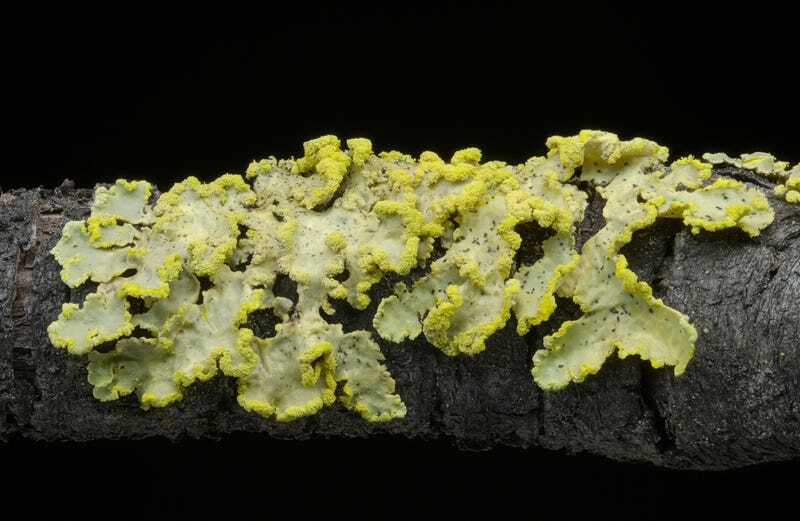 The lichen that produces it, Bryoria tortuosa, can be distinguished from its non-toxic cousin, Bryoria fremontii, on the basis of its yellowish hue. But a few years back, when a group of biologists at the University of Helsinki tried uncover the genetic basis for this difference using a targeted approach called barcoding, they were stumped. When Spribille and his colleagues analyzed Bryoria’s RNA—the messenger form of DNA—they discovered something amazing. “We found there was this third thing, riding along in every single sample,” he said, referring to the previously unknown basidiomycete. The final proof that this was not an elaborate hoax came when the researchers developed green fluorescent markers that attach to specific RNA sequences in the basidiomycete, and blue markers that attach to complementary RNA sequences in the other fungus, an ascomycete. Sure enough, when they added these markers to samples of lichen tissue, the cells of a hidden fungal partner glowed under the microscope. We also can’t be sure when that third partner joined up. Using an age-estimation method called molecular clock dating, the researchers showed that the basidiomycete lineage is as old as the ascomycete lineage. “By inference, these two lineages arose at the same point in time,” Aime said. But we’d need well-preserved fossils to build a case that all three lichen partners have been together since the very beginning.We can’t be certain the second fungus is present in all lichens. Spribille’s study only looked at lichens in the Parmeliaceae family, the most widespread and successful group on Earth today. But the entire lineage is vast and ancient, and it’s possible some groups split off on the evolutionary tree before the basidiomycete arrived on the scene. Aime and her collaborators are now studying the new fungus more closely. The classic view of lichen is that the photosynthetic organism (an algae or a cyanobacteria, occasionally both) provides food, while the ascomycete fungus offers shelter and structure. The recent studies on Bryoria and vulpinic acid hint at a likely role for the newcomer: defense. “We can’t prove the connection of the yeast to the toxin, but the evidence points overwhelmingly to it being involved in some way,” Spribille said.